Workers at Bethlehem-based Just Born Quality Confections are going back to work. Some 400 workers have been striking since September 7th. The contract with the union expired on June 18th. A federal lawsuit was filed on Wednesday by Just Born claiming that the union violated a no-strike clause in a contract extension that was still in effect until Sept. 18. The union disagrees, but still decided to return to work, pleased with recent progress on a new contract. 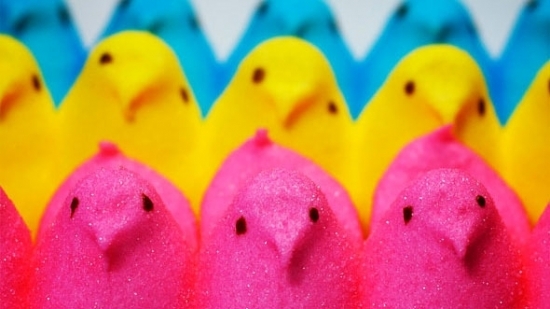 Just Born produces everyone's favorite marshmallow Peeps and Mike & Ike candy. Philadelphia Police have identified the man shot last night in Hunting Park while standing outside his home last night. 42-year-old Michael Thompson was just outside his home around 11:00 p.m. on the 700 block of West Annsbury Street when he was shot at point blank range. He was hit at least once in the head. Thompson was taken to Temple University Hospital where he was pronounced dead. Investigators found four shell casings near were his body was lying. Witnesses gave police a description of a man in a grey hooded sweatshirt running from the scene and a white sedan speeding away. Police stopped a vehicle matching the description nearby and took two men in for questioning. There is no word on a possible motive. The funeral is today for one of the Wilmington firefighters killed in action last Saturday. Mass is being held at St. Elizabeth's Catholic Church for Lt. Christopher Leach. Hundreds of firefighters gathered outside the church as the casket draped in a flag arrived on the top of a fire truck escorted by a large motorcade. A public viewing for Senior Firefighter Jerry Fickes was held Thursday night, with another one scheduled for Friday afternoon before a private service. There will be a joint public memorial service on Saturday afternoon at 1 p.m. at the Chase Center on the Riverfront, located at 815 Justison St. in Wilmington. Yesterday, police charged one of the residents, 27-year-old Beatriz Fana-Ruiz, with murder and arson for starting the fire in their home.